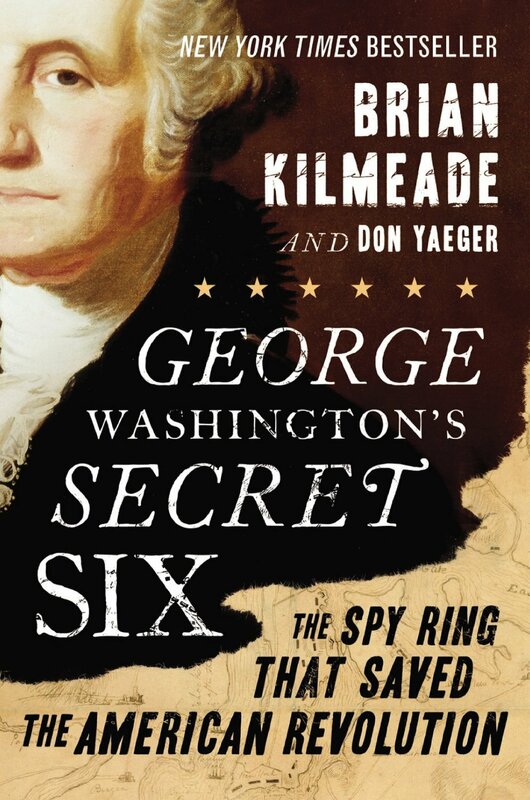 This superlative historical text, George Washington’s Secret Six, by Brian Kilmeade and Don Yaeger describes a hitherto little known, but vital feature in American history—George Washington’s Secret Six spy ring, that played a very heroic and positive role in the American Revolution. In the Central Intelligence Agency, its archivist said that his organization uses strategy and design of a particular program for training today’s new recruits. Are we talking about the script from Argo? Are we talking about material from the hunt for Bin Laden? No, indeed, we are talking about George Washington’s program for his network of spies that played a pivotal role in the American Revolution. Taken from the 1770’s, over 150 years ago, this is the program for George Washington’s Secret Six, the courageous group of spies, also known as the Culper Ring, who gained critical information from British forces to aid rebelling colonists. Absolute secrecy among the network, so that operatives did not know each other. Use of a newly invented type of disappearing ink, a new wrinkle on a long-established technique for spies. Six spies were recruited, five men and one young woman. Initially, only Washington knew their names and these weren’t revealed until well into the 19th century. In fact, to this day, the single female is known only as 355. The five men survived the Revolution without their identities revealed. It is possible that 355 may have been arrested and imprisoned in Manhattan, although nothing is certain to date. Letting the British think that his army had retired for the winter, thus allowing the patriot counterattack and moral victory at Trenton. Warning Washington just in time about Benedict Arnold’s treachery and intended handover of West Point to the British. To accompany this, the British commander asked for release of Major Andre, a captured officer sent to aid Arnold in his transfer. But Washington invoked the precedent of Nathan Hale and said that Andre would be treated (and hung) in a consistent military manner. From a notebook left in a Manhattan tavern, providing the French fleet in Newport all the British naval codes and signals. This soon proved invaluable in allowing the French at Yorktown to outmaneuver the British fleet in its attempt to rescue the besieged Cornwallis. Leaving false signals to the British commander in Manhattan that Washington was planning an attack on this installation. This ploy prevented the British from sending a full force south to try to rescue Cornwallis by land. After the Revolution, British authorities gave due tribute to Washington’s strategy, by acknowledging that the colonists didn’t outfight the British, they “out-spied” them. It is hard to believe that Washington concocted this program so long ago and its principles have held up so well over time. This confirms that, especially when we contrast the hordes of mediocrities and worse currently ruling the world, Washington shines more than ever as—first in war, first in peace and first in the hearts of his countrymen. Book cover image courtesy of Sentinel HC. George Washington Statue photograph courtesy of Shutterstock.com. 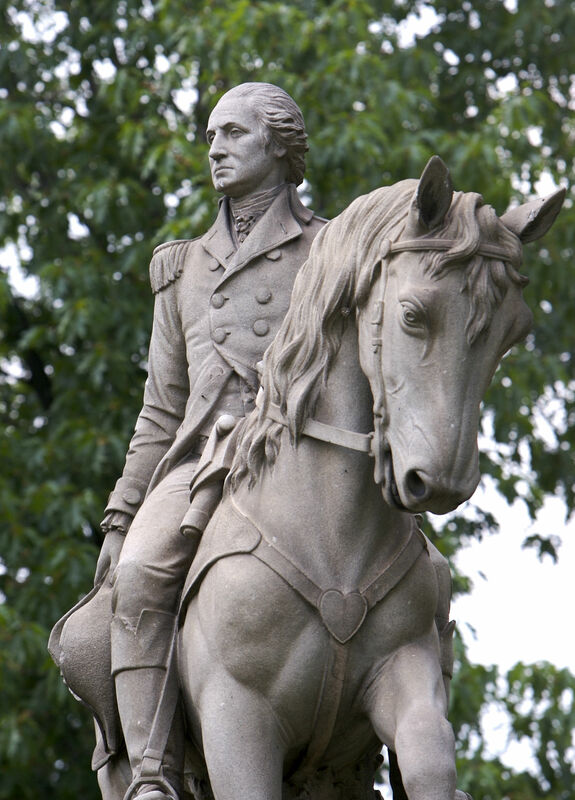 To read the Luxe Beat Magazine version of this article click on the title Washington’s Magnificent Spooks. Norman E. Hill, FSA, MAAA, member AICPA, Editor of Luxe Beat Magazine is author of Winner and Final Chairman. Norm is an actuary by vocation and journalist by avocation. He writes food and travel articles individually and with Maralyn. He is also known for writing numerous, ongoing articles for industry publications. Norm has edited books and articles with Maralyn. Norm’s travel articles can be found on The Epoch Times; Spa Tours Worldwide; Business Insider; JetsetExtra; The Big Blend's Vacation Station Magazine; Way Back When Magazine, Radio & TV; Global Writes; and Where and What in the World. Norm is a member of the International Food Wine and Travel Writers Association and the Society of Professional Journalists. http://whereandwhatintheworld.com.